Let us do the research for your next build. Our database has over 10,000 host weapons to help you find what’s compatible with your next silencer purchase. host weapons to help you find what’s compatible with your next silencer purchase. At SilencerCo we have pride in our work and a passion for shooting. 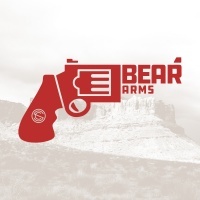 Our customers aren't just gun enthusiasts, they're fathers and sons, mothers and daughters, and people just like us. We demand the best from our products. We've dedicated our time and energy to product advancement and creative technology to better serve the end user: you. Our dedication to authenticity has never wavered since the birth of SilencerCo in 2008. We continue to strive for exceptional customer service and to create industry-leading products but that's not enough. Our product is ever-changing, ever-improving, and is crafted by people with the utmost dedication to our industry and what lies ahead. There's a long and exciting road in front of us, and we look forward to working together to Fight The Noise.